Prestashop is a open-source free to use ecommerce platform. Connecting Prestashop is as easy as connecting a module. Visit our github repository and from there, you can download the module. Extract the zip and you'll have a folder called fomo-prestashop-module-master . You can rename this folder to simply fomo for clarity sake. This part requires you to have file access to your Prestashop store. You may have to talk to your developer here. 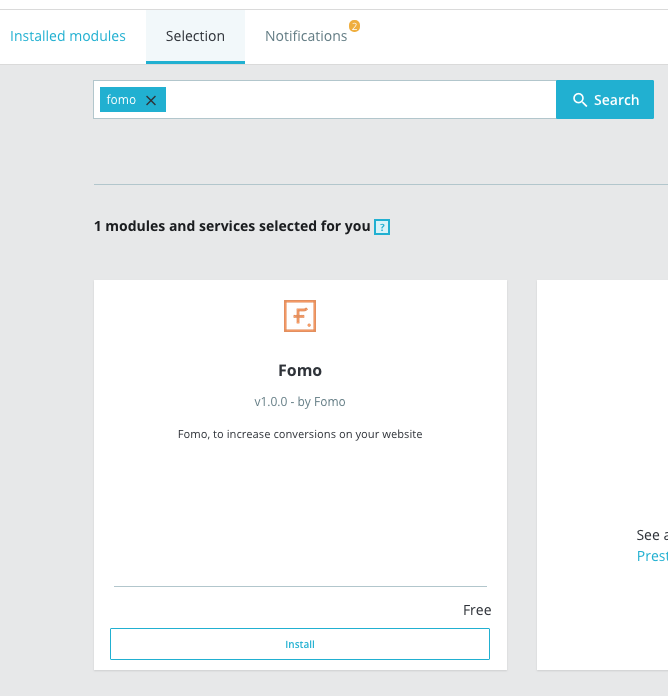 The fomo module needs to be moved into your Prestashop module directory. Once thats in there, we can check it out in your Admin Panel. Now we are gonna install this piece. Login to your Prestashop admin panel. Hit install. Then click configure. You'll be taken to a settings page that looks like this. First, make sure to enable 'Live mode'. This will make sure Fomo works on your live site. Then, grab your api key from Fomo here. Please click 'DO IT YOURSELF' and grab that code between 'v1' and 'load.js'. Mine's looks like this G_ryrnyaKHtQwlNEwLzE2Q . Now grab your webhook url. 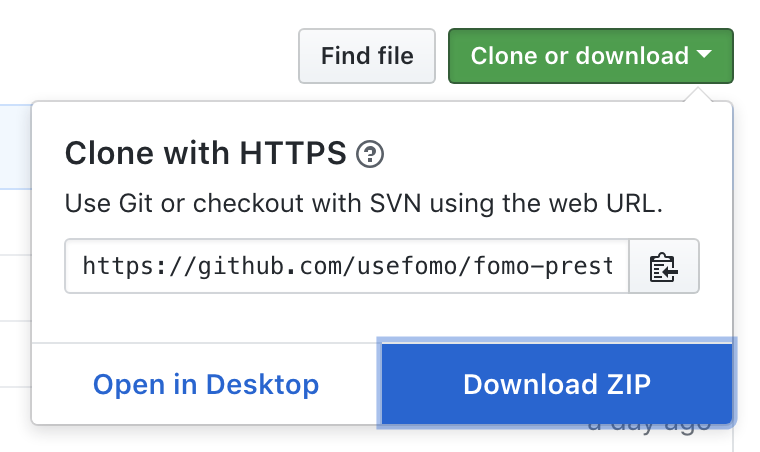 To get your webhook url, we need to connect Fomo first. 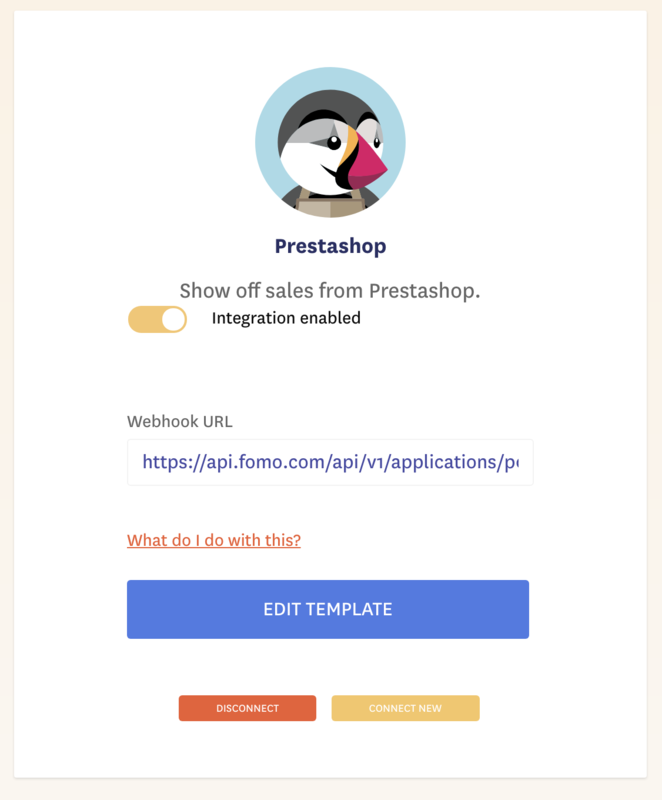 Inside Fomo, navigate to the Integrations tab and find Prestashop by scrolling down or inputting "prestashop" in the instant search field. 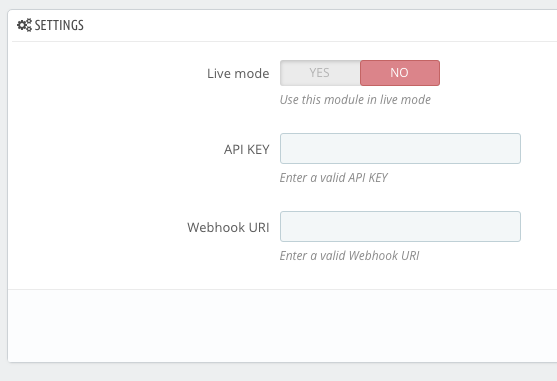 After you enable Prestashop, you'll see your Webhook URL. Copy & head back to your Prestashop-Fomo settings. 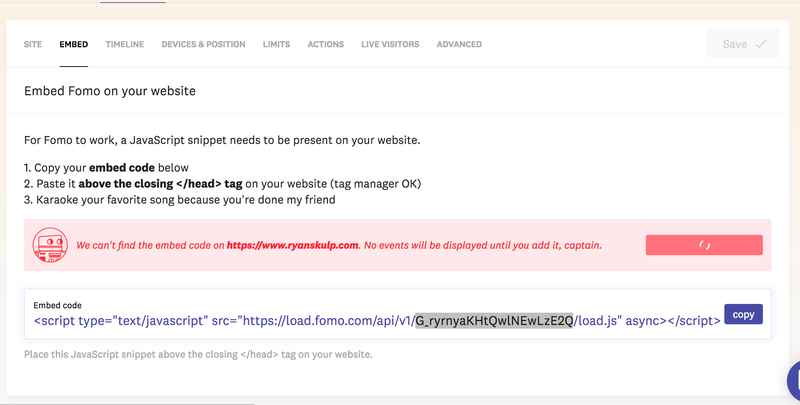 Back under the Fomo Module configuration, paste in your webhook url. Punch 'Save' and bam, we are done! Going forward, new customers and orders will be imported to Fomo. Navigate to Templates > Prestashop (Order / Customer) to modify the messaging of your notifications. Edit your template to access your merchandise quantity.